Let’s face it; auto collisions are a pain in the neck and can be an inconvenience to one’s personal life. At Jerry’s Auto Body, we understand how stressful the situation is and strive to make your auto repair experience as smooth as possible. 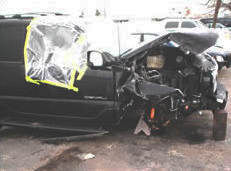 If you’ve been in an auto collision and are looking for an auto body repair shop to bring your vehicle back to its original beauty, swing by Jerry’s Auto Body and we’ll take care of you. As a premier auto collision repair specialist in the Twin Cities Metro Area, we stand behind our work with a Lifetime Guarantee for as long as you own your vehicle. 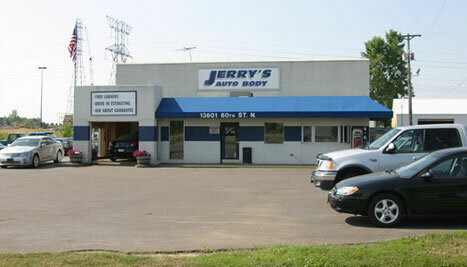 Jerry’s is a full-service collision repair auto body shop located in Stillwater, MN that has more than 150 years of combined experience. It’s guaranteed: our workmanship and parts are guaranteed for as long as you own your vehicle. Let us help you through this time of stress and inconvenience and we’ll get you back on the road in no time. Call us today 651.439.9340 or fill out our free quote form to get started.